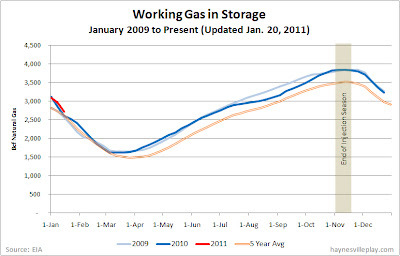 The weekly EIA working gas in storage report showed a 243 Bcf weekly withdrawal from storage, bringing the storage level down to 2.716 Tcf. The weekly withdrawal was on par with last year's weekly change -248 Bcf) but significantly greater than the five year average for this week (-133 Bcf). 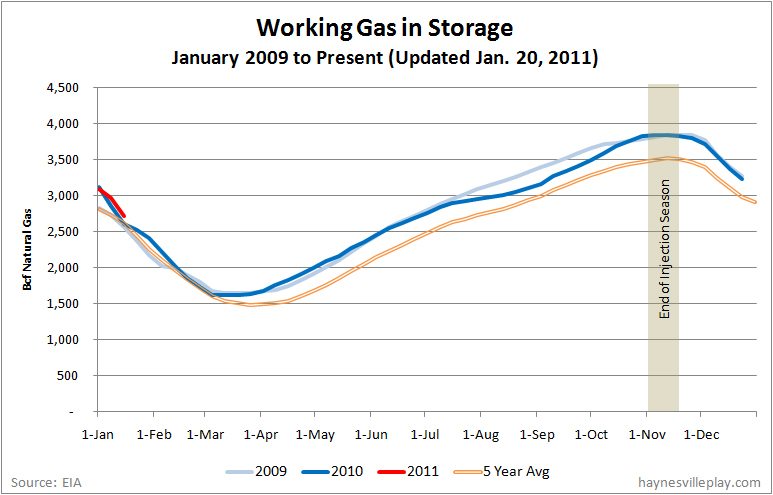 The current storage level is 2.8% higher than last year at this same time and 1.9% higher than the five year average (down from a 5.8% discrepancy last week). Temperatures last week were slightly warmer than the same week last year (although the withdrawal was about the same) but 4.7 degrees colder than average.